The Footscray Bulldogs have started their 2016 Peter Jackson VFL Season with a 49-point win over the Northern Blues on Sunday morning at Victoria University Whitten Oval. The ‘Scray looked good early kicking five goals in the first to the Blues’ two – Honeychurch kicking his two goals for the day in the opening term. The Bulldogs kept the pressure on until late in the second quarter where momentum shifted after a 50-metre penalty was given and the Blues capitalised with a goal, following up quickly with another two more on the run. "We didn’t finish off the quarter too well," coach Ashley Hansen said. "There were mechanics in our team defense that did support our defenders and we really let them battle one on one which is against our philosophy. “So, the message at half time was really to re-set and re-adjust and focus on what we went into the game trying to achieve." The Bulldogs were shaky in front of goal in the third with only two goals and seven behinds but were able to keep up the defensive pressure to go into the break with a 24-point lead. The final term saw the Bulldogs kick the pressure up a notch as well as putting some more majors on the board with another four goals – two of those to Jamieson, and kept the Blues to only two behinds for the quarter. Hansen was impressed by the control in the second half. "I challenged the guys and asked them what are they going to do for one another in regards to supporting our defenders and making sure that we had plenty of heat and intensity around the ball. "They responded and worked really hard for each other." 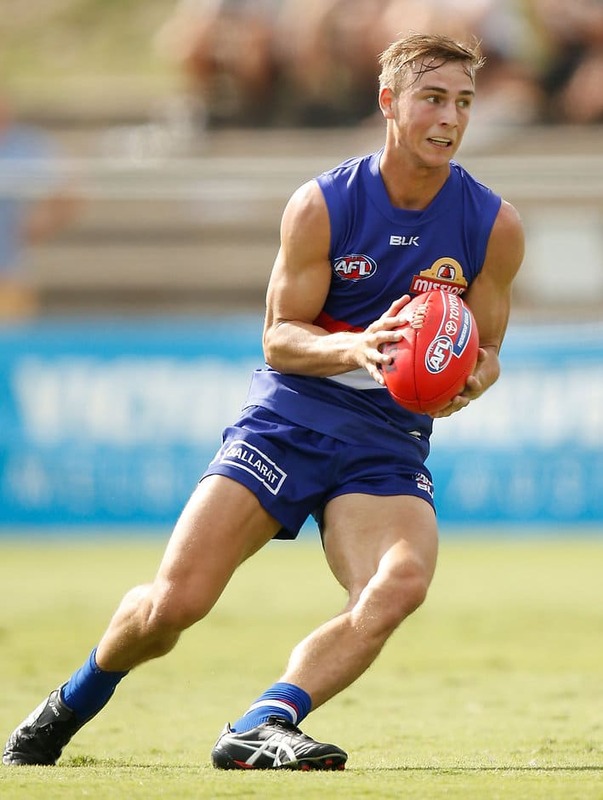 Looking forward to Round 2 where the Bulldogs will take on Richmond at Punt Rd Oval, Hansen is focused on continuing to improve his talented group. ‘We’ll recover really well being a 6 day break, so we’ll look after the guys during the week, we’ll certainly go to work on reviewing the game today. "Training this week should reflect another improvement in performance which I’m looking forward to seeing because I think group has still got a lot of to improve on which is exciting." The ‘Scray are sitting second on the 2016 Peter Jackson VFL Ladder under the Casey Scorpions.